Find harmony with your mind, release stress and rejuvenate your body through Acupuncture. Then relax your mind fully, loosen and strengthen your body with focused breathing and Tai Chi exercise. More and more people are turning to acupuncture for solutions to their health. Robust scientific research backs up what many people have known for years – acupuncture works. Therapeutic massage can be used in combination with Acupuncture for conditions like back pain. Massage is like Acupuncture without needles. Herbal medicine is especially effective in the areas like infertility and menstrual irregularities, skin conditions and acute illness such as colds and flu. 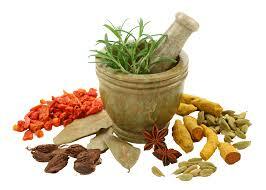 Herbal medicine can be used in conjunction with acupuncture. For more information on my full range of services, costs, packages and special offers.